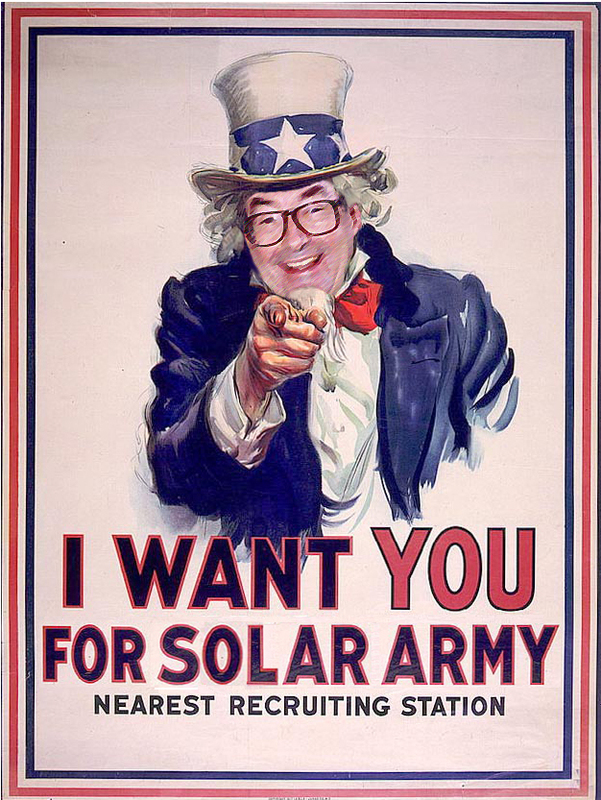 The Solar Army has many branches- SEAL, HARPOON, Juice from Juice, and the Westside Science Club. This map shows all the sites around the world with our various research kits as of Jun 2018. Our solar energy research truly is a global effort! To get involved, check out the pages for each project and see which one is right for you. Follow us on twitter @thesolararmy to see what we’re up to and keep in touch! 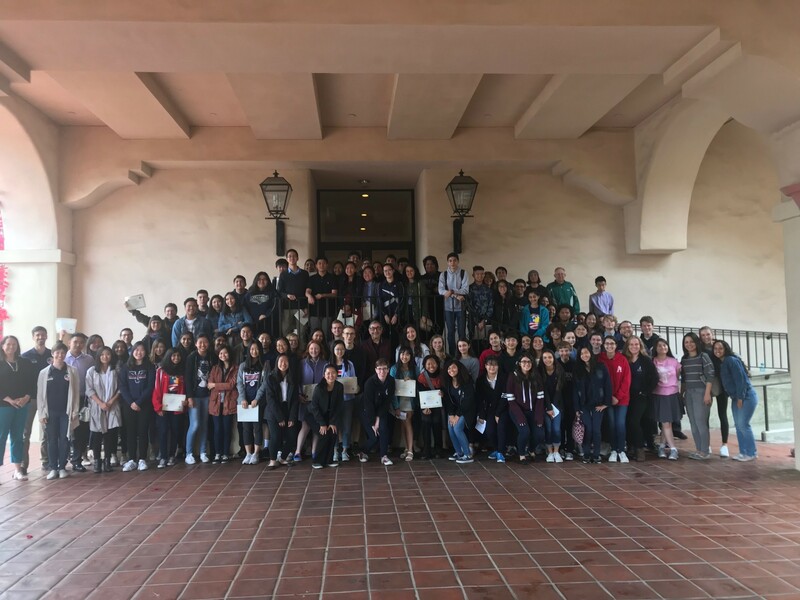 On Saturday May 12, 2018 over 150 high school and college students and their teachers participated in the 9th annual SEAL Con event at Caltech. There were both student talks and posters, showcasing the wonderful research the teams have done throughout the year. After the talks, poster session, and lunch, students got to go on a tour of the chemistry labs on campus. General Harry Gray stopped by to commend his troops on a job well done and even cut the celebratory cake! Everyone enjoyed their certificates and T-shirts honoring them for their work on the search for new metal oxide catalysts for water-splitting. 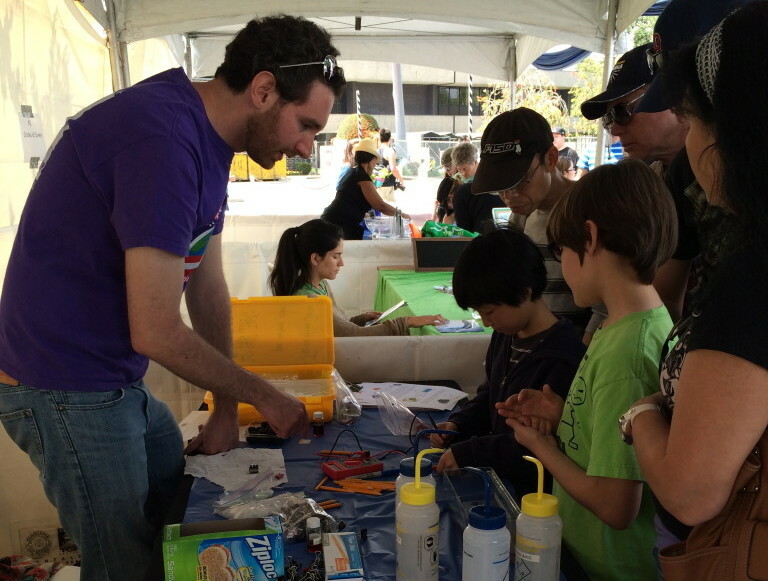 On April 28, 2018, CCI Solar participated in the annual City of STEM Festival in Los Angeles. The festival was in Downey at the Columbia Memorial Space Center- where Westside Science Club founder Ben Dickow is director. It was a beautiful sunny day, perfect for demonstrating solar energy and hydrogen fuel cells. 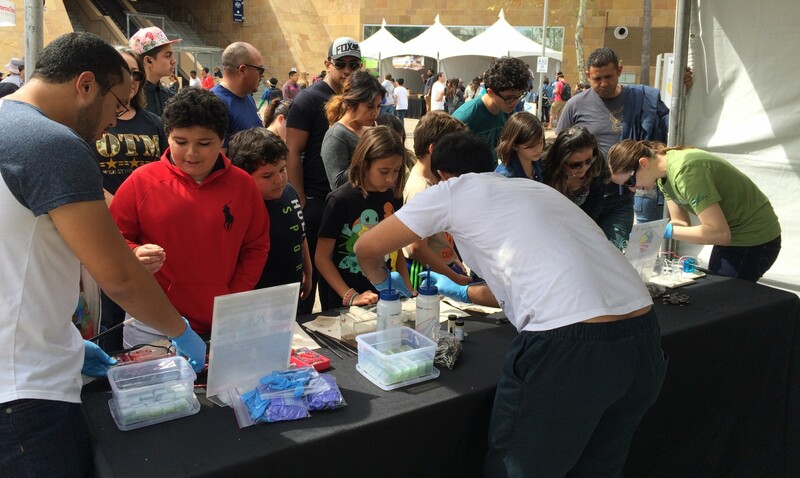 Lots of young visitors made dye-sensitized solar cells and parents learned about viability of solar hydrogen as fuel of the future. So fun to share in this big day of science for the Los Angeles community. 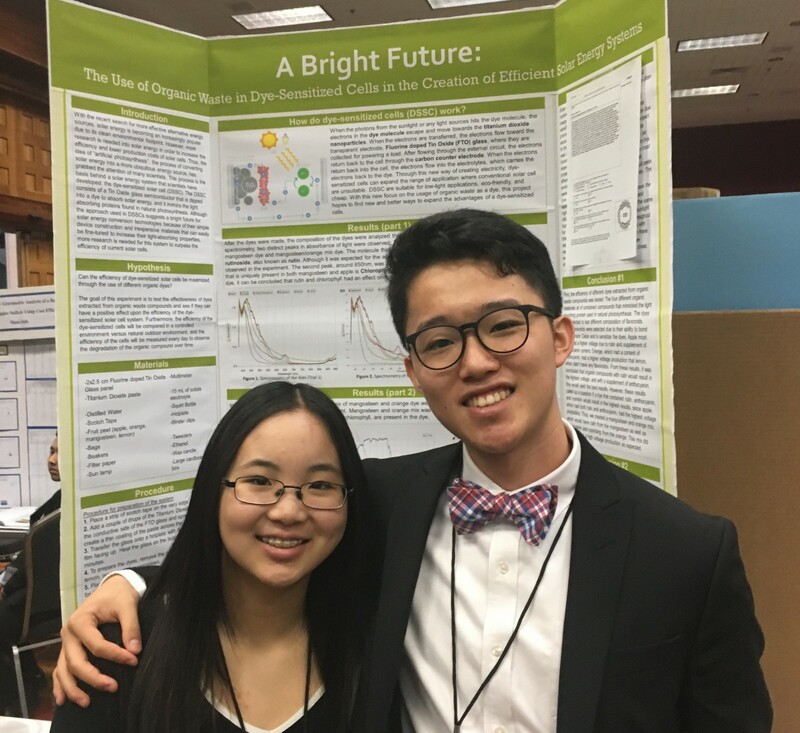 Nick Lee from Colleyville Heritage High School in Colleyville, TX did in-depth study of DSSCs and new fruit dyes as part of his Advanced Chemistry Research and Design class. Nick and his partner won 1st in the Energy Division in the Fort-Worth Science Fair and will attend the Intel International Science and Engineering Fair. Wish them luck! You can also check out his report and poster. 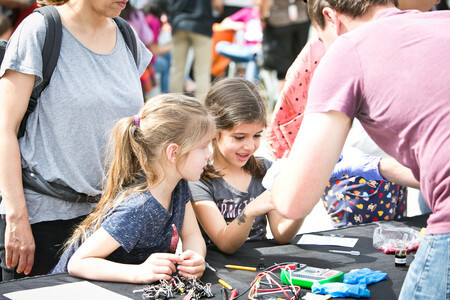 Members of the Lewis and Atwater labs at Caltech joined forces to make solar cells out of blackberry juice as part of the Caltech Science for March event on March 31, 2018. Over 2,000 people attended the inaugural event. You can read more about the day in the Ion Caltech publication here. 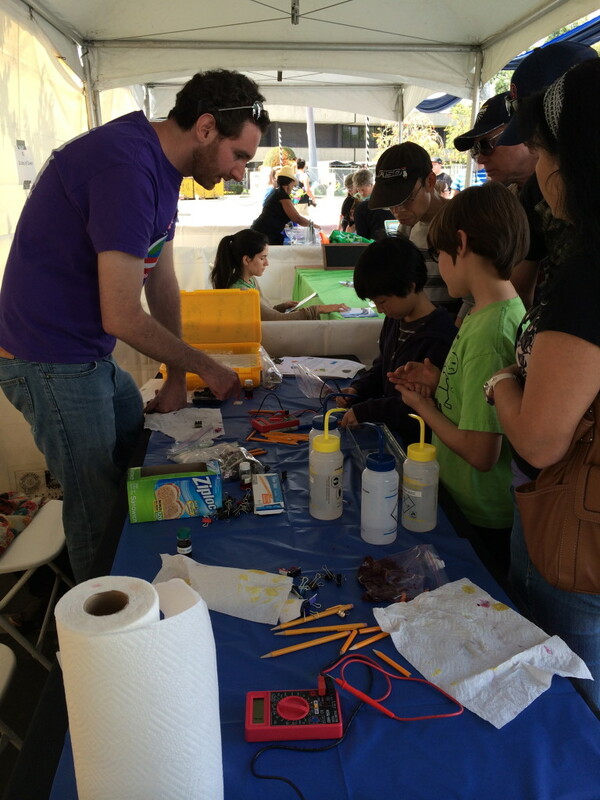 CCI Solar hosted a booth at the San Diego Science Festival Expo for the fourth time on March 3, 2018. 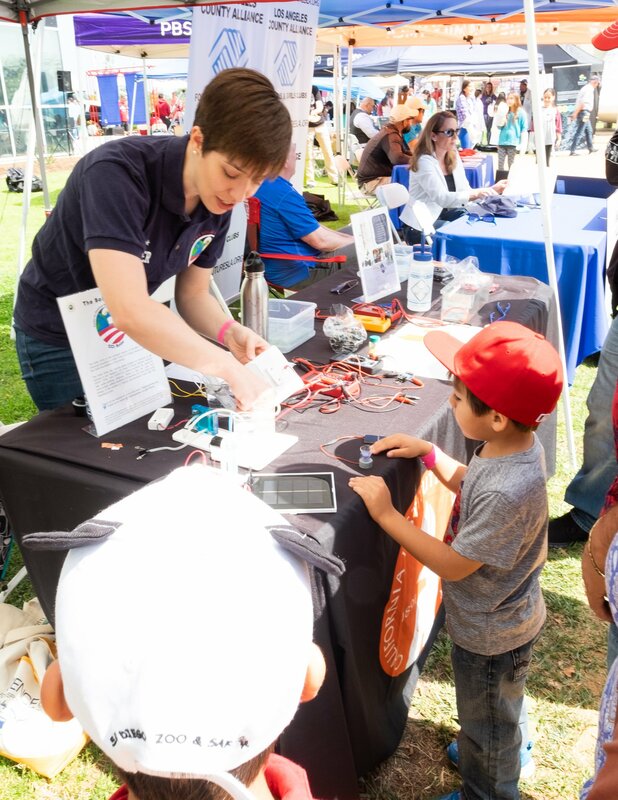 The festival had over 25,000 visitors, many of whom stopped by our booth to learn about solar fuels with our fuel cells and solar panels demonstrations. Despite some clouds and rain early in the day, we had a great time sharing knowledge about solar energy with the public. Thank you to our friends at CAICE center in San Diego for helping us with the booth! Representatives from all 7 of the current Centers for Chemical Innovation were present for this year’s NOBCChE (National Organization for Black Chemists and Chemical Engineers) Conference in Minneapolis. We met with students at the Expo booth recruiting for our centers’ various summer programs and postdoc fellowships. Dr. Robert Cave from NSF was also in attendance and we were able to have fantastic discussions about improving diversity and inclusion at the CCIs as well. The Directors of Education, Outreach and Diversity had a couple days of separate meetings at UMN strategizing ways to improve our collaborative efforts. 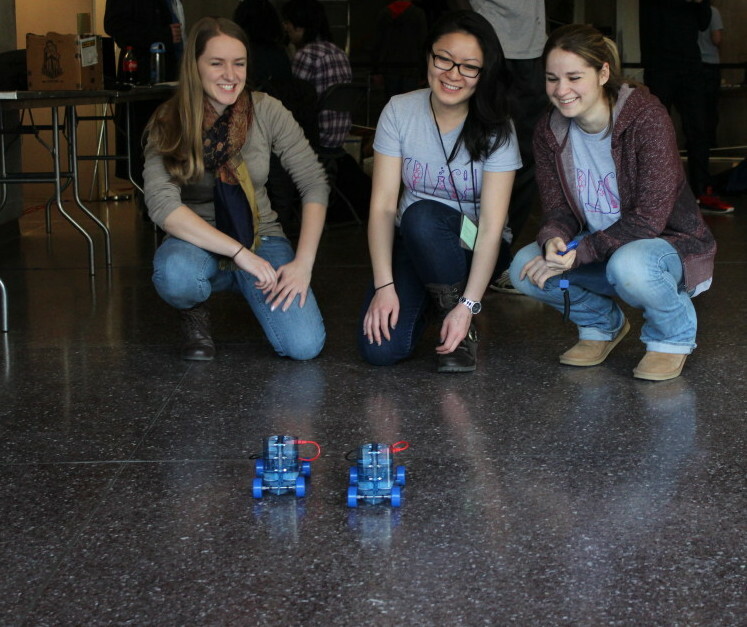 Hopefully more innovative outreach programing is coming soon! 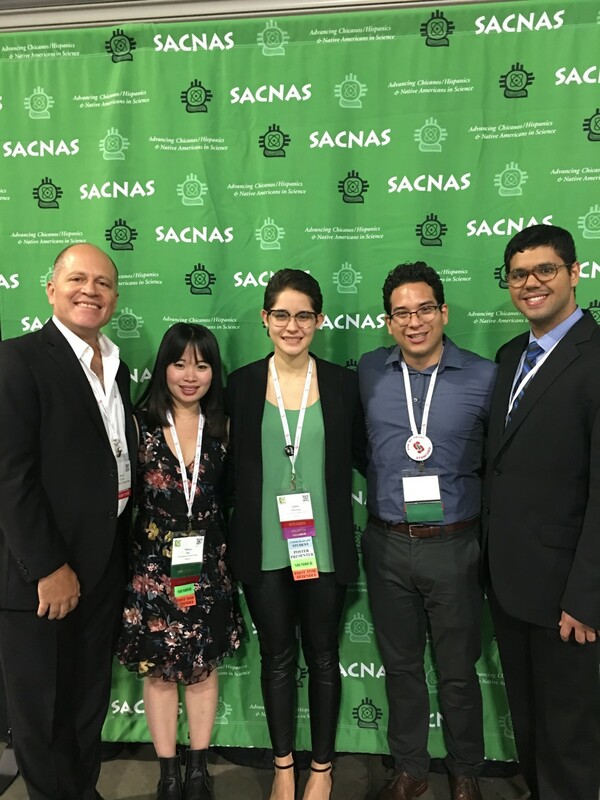 CCI Solar was well-represented at the 2017 SACNAS (Society for the Advancement of Chicanos/Hispanics and Native Americans in Science) Conference in Salt Lake City. 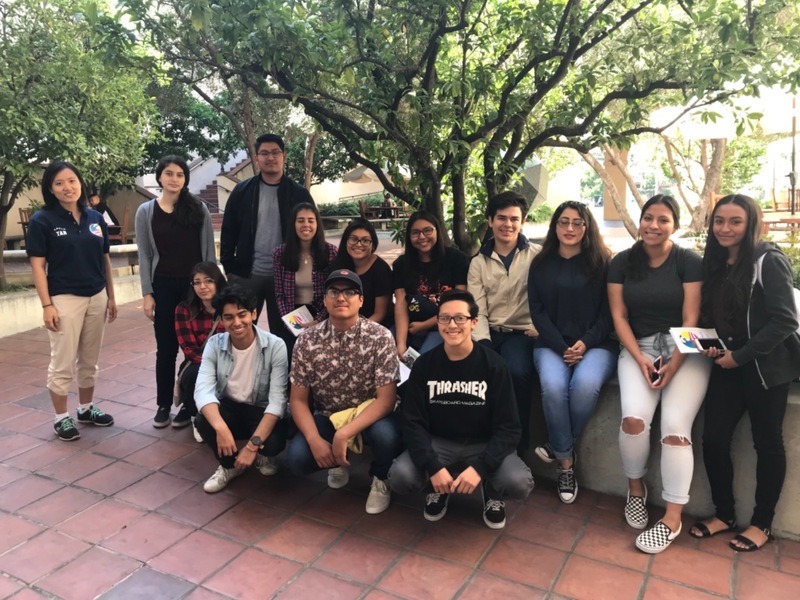 Professor Jorge Colon and his student Mario Ramos from University of Puerto Rico attended along with Isabel Barraza and Yanyu Wu from Dino Villagran’s group at UTEP and Joel Sanchez from Tom Jaramillo’s group at Stanford. Together they presented a symposium based on their collaborative work with the center. Yanyu also won a graduate student presentation award. We are so proud of her and all the SACNAS attendees! 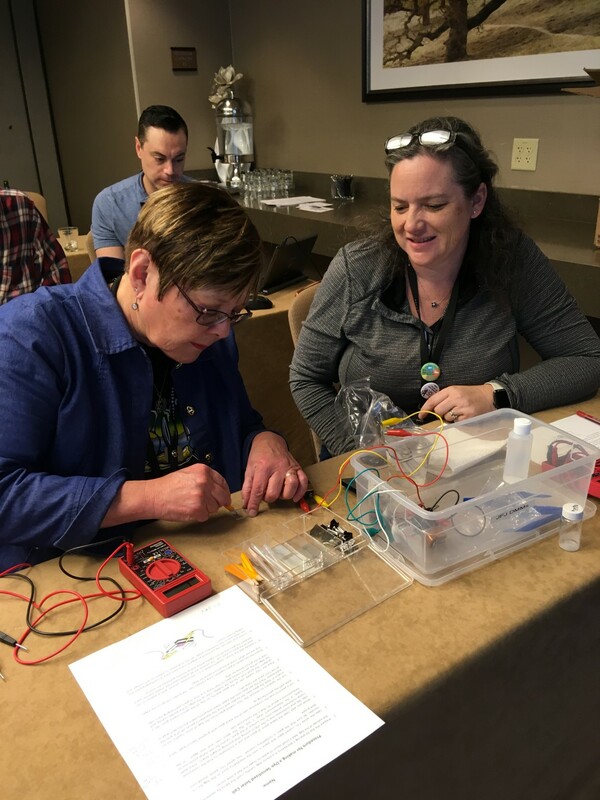 For the 4th year in a row, CCI Solar presented a Juice from Juice workshop at the annual California Science Teacher’s Association conference, this year in Sacramento. 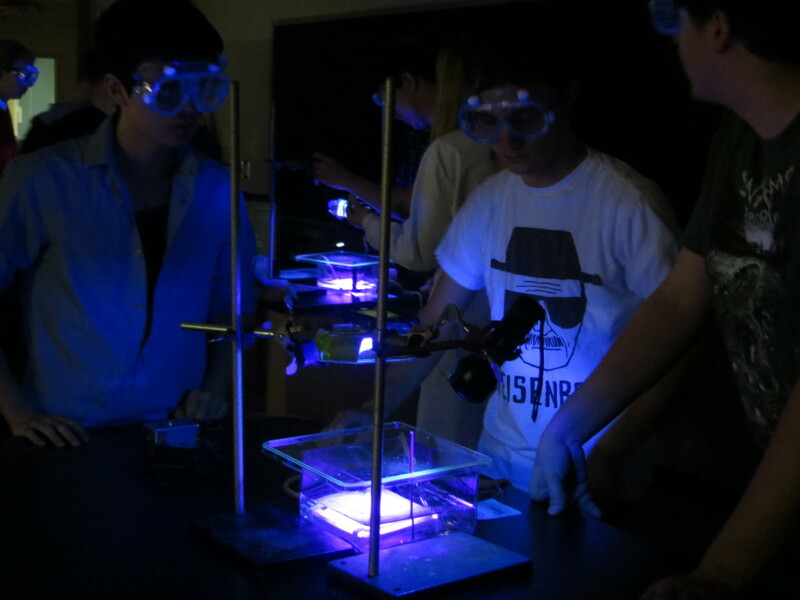 The workshop covered the basic background science of dye-sensitized solar cells, how the experiment aligns with the Next Generation Science Standards (NGSS), and then the participants got to make their very own DSSC and practice water splitting. We look forward to many more classrooms across California implementing Juice from Juice in their science curriculum! Students, teachers and mentors from the 13 Southern California SEAL Teams gathered at Caltech on Sept 30 to kickoff the next year of SEAL research. Several past and current mentors presented on the motivation and background science for the SEAL project to inspire the students for the upcoming year. There was also a demo of the SEAL and HARPOON kits, and of the introduction of the new Protocols.io platform plus continuation of the SoCal Infantry Blog! We’re looking forward to great collaboration over the whole school year and hopefully some wonderful results! In partnership with the Resnick Sustainability Institute at Caltech, the Solar Army offered a day-long workshop for teachers in the Central Valley on Jan 30, 2017. 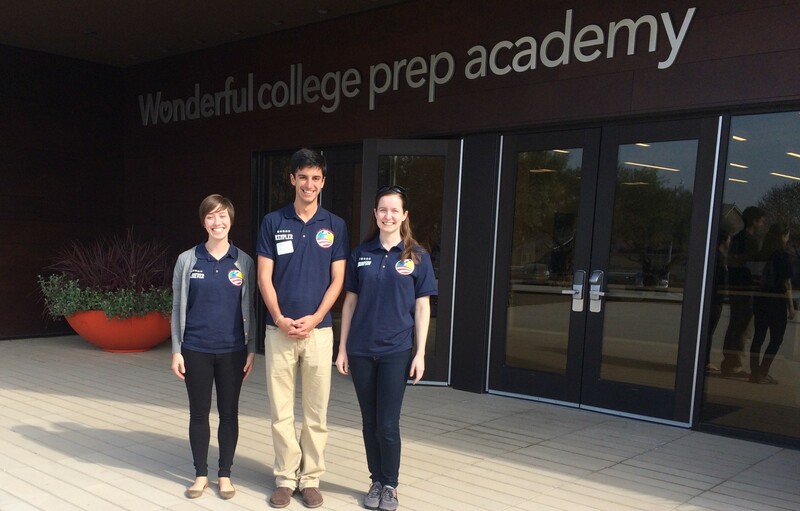 The leaders of the outreach branches of the Solar Army flew out to Delano and visited both the middle school and brand new high school campus Wonderful College Prep Academy built by the Resnicks. 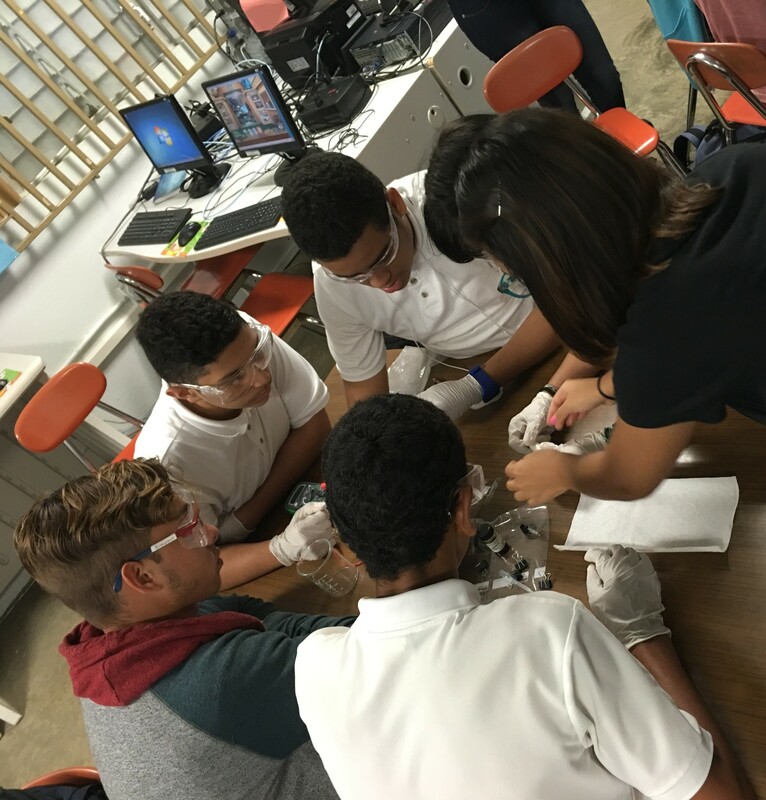 In the morning the teachers got to observe a middle school class build DSSCs and in the afternoon they observed high schoolers learn about water splitting and electrochemistry. These teachers will be working with us again in June when they come to Caltech for a week-long professional development institute. Dr. Erica Harvey at Fairmont State joined the Solar Army a few years ago, and in that time has spread the program across the state. They have teamed up with local high schools to perform research and spread the mission of CCI Solar. We’re so proud of our West Virginia Brigade! 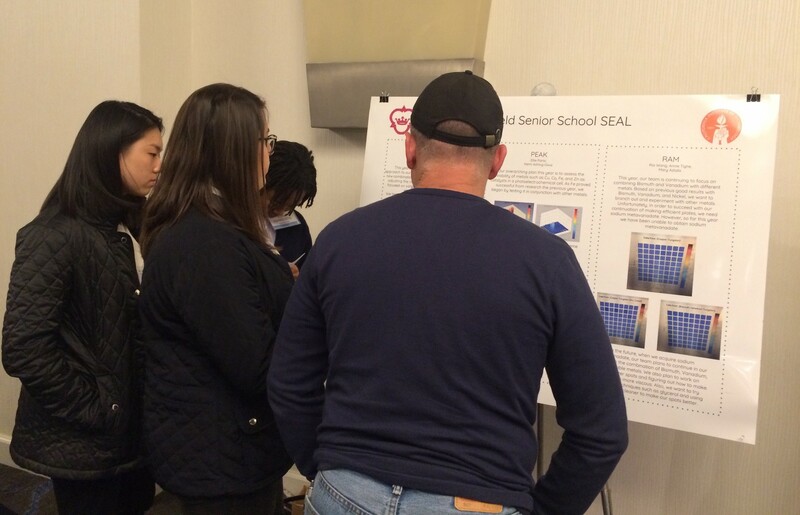 There were over 60 high school SEAL students at the CCI Solar Annual Meeting on Jan 28, 2017 from 10 different SoCal high schools. Each school team presented a poster with their work so far this year. In addition to learning from each other’s work, the students got to interact with the Center’s scientists and check out the latest research at the poster session. There were also demonstrations of the SEAL and HARPOON kits in addition to a station for making Juice from Juice DSSCs. It was great way to share results and new ideas, hopefully leading to some fruitful projects! A Boston chapter (MIT-Harvard) of the Solar Army is starting this fall through local organization, Science Club for Girls, which offers after-school science programs to keen young women. We participated in a week-long SCFG internship program this summer in July. 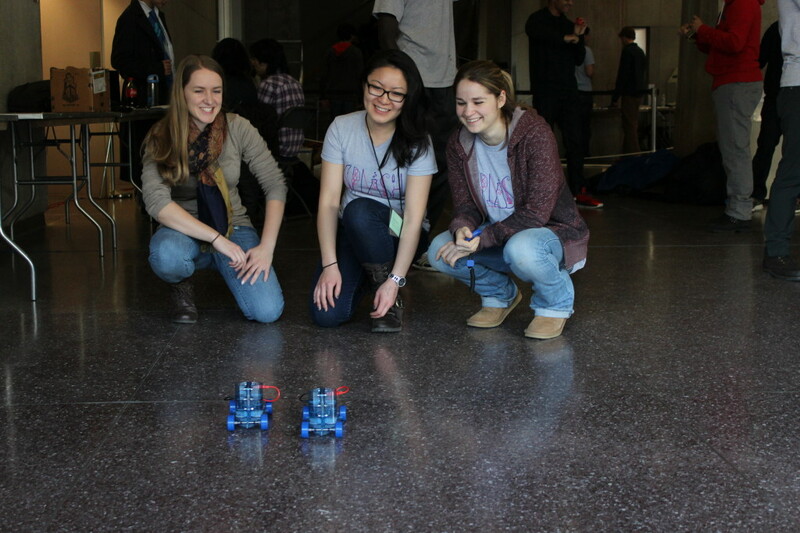 15 enthusiastic girls came to MIT campus to research solar energy. After a week of experiments, the girls brainstormed activities for how to best teach concepts to younger children and then took their new knowledge to a local day care and engaged in games that taught the children some of the science behind solar energy. If you are interested in joining the Boston Battalion, contact the Science Club for Girls. 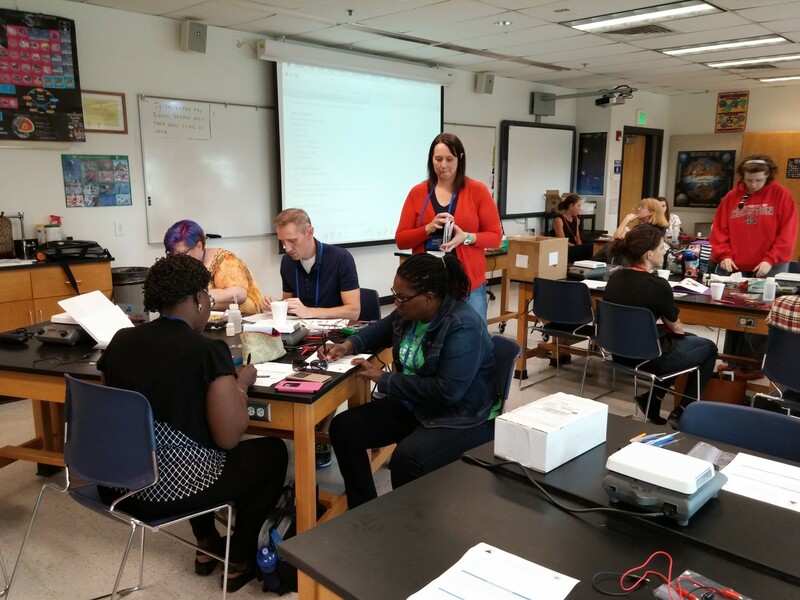 Over the summer, Dr. Jennifer Schuttlefield Christus and research student, Amanda Leichtfuss presented 2 workshops at the 2016 Biennial Conference on Chemical Education (BCCE) at the University of Northern Colorado. 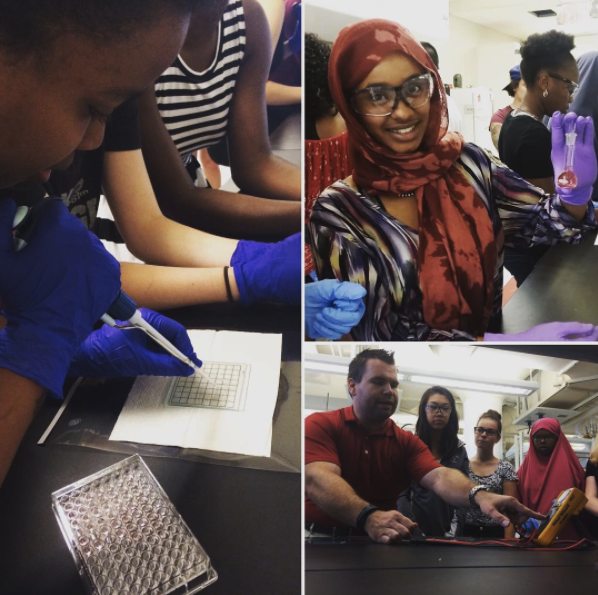 The university hosted chemistry educators and students seeking new experiments to incorporate into the classroom. Schuttlefield Christus and Leichtfuss ran workshops on HARPOON & Juice from Juice with 20 & 30 attendees at the workshops respectively. Participants got to try the experiments hands on and learn about ways to incorporate them into their curriculum. 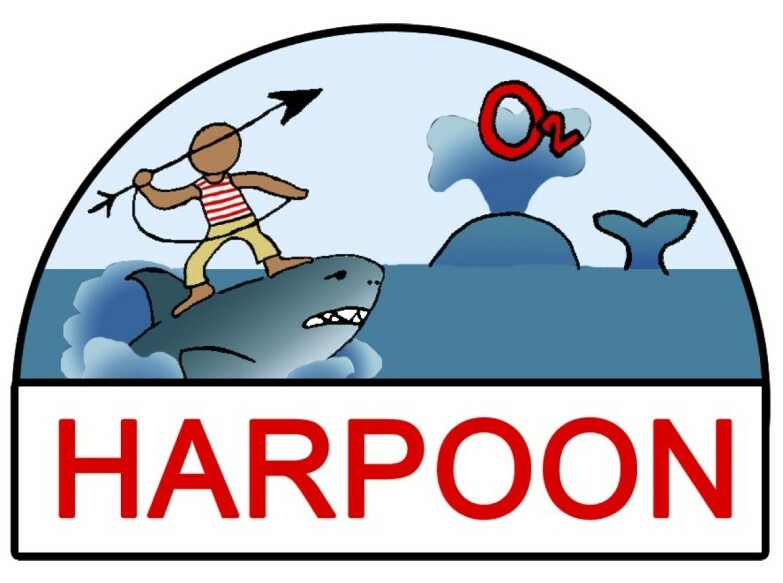 Starting April 2016, after years of development and testing, the HARPOON kit is now available for purchase for use at your high school or university. The HARPOON kit can be used as a citizen science project or as part of a chemistry lab course. HARPOON has been aligned to NGSS standards and comes with many accompanying resources for teachers and students. This is the least expensive of our citizen science kits costing only $120 for all components! Check out the website to learn more about HARPOON and contact us today to order your kit. Prof Jorge Colón and his students from University of Puerto Rico presented the Juice from Juice program to students at Escuela Superior Benjamin Harrison on April 4, 2016 in his hometown of Cayey, PR. Prof Colón started with a talk entitled “Solar Energy, Climate Change, and the Caribbean Brigade of the Solar Army.” Then his graduate student Julissa González and two undergraduate students, Liz Nieves and Christian Aponte, as well as educator Diego Andrés Cantor, conducted the workshop with the students. Julissa did a wonderful job leading the workshop, and Prof. Colón enjoyed coming back home and visiting his sister who is also a teacher at the school. Thanks to everyone for a successful event! Welcome to the Solar Army website! 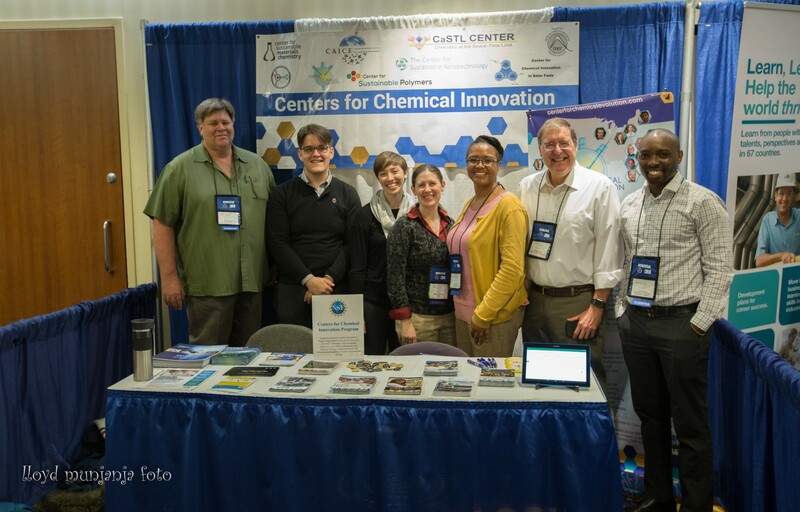 We are the outreach branch of the NSF Center for Chemical Innovation in Solar Fuels (CCI Solar) centered at the California Institute of Technology. Enough sunlight falls on the earth in one hour to power all the energy needs of our planet for a year. If we can capture the energy in sunlight and use it to generate a chemical fuel, we will no longer need to burn fossil fuels, will no longer add to the green house gases in the atmosphere, will no longer need to purchase oil from other countries, and will have a sustainable fuel that is renewed every day from the sun. The Solar Army wants to capture the energy in sunlight and use it to split water and yield a chemical fuel, hydrogen. We will need two great catalysts to do this: one to oxidize water to oxygen; the other to reduce protons to hydrogen. We have several outreach projects where high school and undergraduate students can join in on the search for these catalysts. Check out the SHArK, SEAL and HARPOON pages to learn more about how to get involved in the search for non-toxic, efficient, cheap, earth-abundant materials that will change the way the world gets its power! The Solar Army also has a project called Juice from Juice where students and teachers can learn about solar energy in the context of making dye-sensitized solar cells with blackberry juice. Through assembly and testing of DSSCs and related activities in chemistry, physics or biology modules, students in grades 3-12 can learn the fundamentals of solar energy. Check out the Juice from Juice page to learn more about the activities, get lesson plan downloads, kit purchasing information or to sign up for one of our professional development workshops. Check out our calendar for upcoming events across the nation!